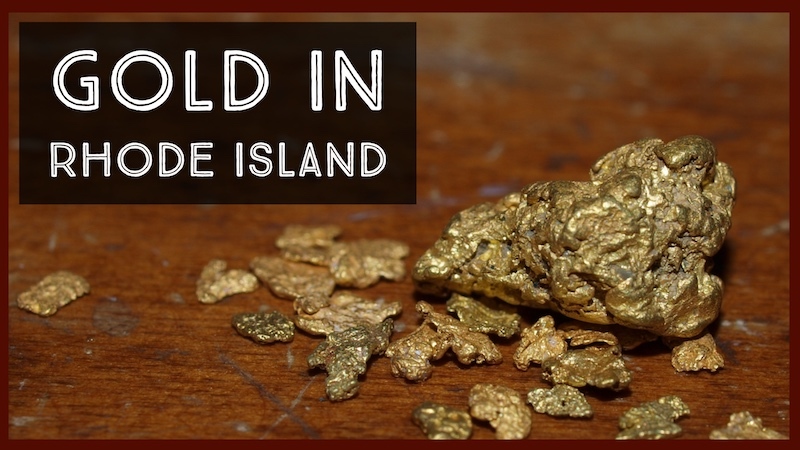 Rhode Island has several documented gold deposits, some of which were mined commercially off and on for many years. Commercially operated gold mining operations have been very rare in most of the Northeast, mainly due to the low grade deposits and sporadic nature of the gold deposits found here. Your highest likelihood for success will be to explore the areas nearby the documented gold deposits discussed below. The Durfee Gold Mine was located in Providence County a few miles west of Glocester. 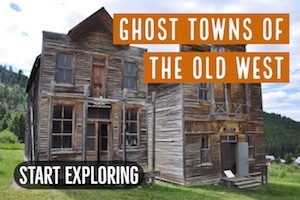 While the productions of this mine were never anywhere near the levels that can be found in mines throughout the western United States, it nonetheless shows that natural gold occurrences of at least some consequence have occurred here. The gold was present in the hardrock, and a stamp mill was built on site to process the ore. The site is now abandoned, but the possibility of finding at least some gold in this area is decent. Explore the streams and gulches in this area. About 6 miles south of the town of Foster are several old gold mines. The gold bearing are is located in the vicinity of Cucumber Hill east of the Cucumber Hill Road. These are often called the South Foster Gold Mines. A stamp mill was constructed here to extract gold from the quartz veins at the site. These mines are currently abandoned, but the known occurrence of lode gold in this area give potential for other deposits to exist nearby that may yet to be discovered. With gold known to occur in hard rock sources, it may also be worthwhile to look for interesting bedrock outcrops that show signs of high mineralization and crush them. 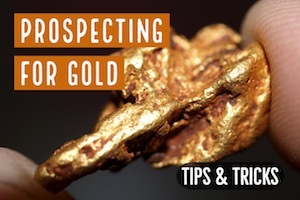 If there is any free-milling gold present, finely crushed specimens can be panned out in the same way that you would pan gravel looking for placer gold. In the northeastern corner of Rhode Island in Providence County, gold has been found around Diamond Hill, just west of Diamond Hill Reservoir. There was a very small amount of historical mining that took place around Johnston and Warwick. Since there are known occurrences of free-milling gold in Rhode Island, it is not impossible to think that there may be some large piece of gold in quartz that could still be discovered. 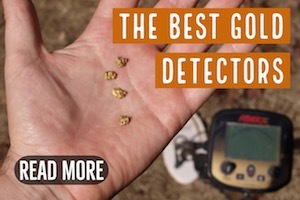 A metal detector can often be a great tool to use near these known lode sources. 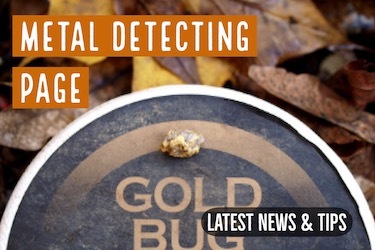 Just be sure to use a detector that designed specifically for prospecting, and is highly sensitive to small gold. It is hard to beat the Fisher Gold Bug 2 . 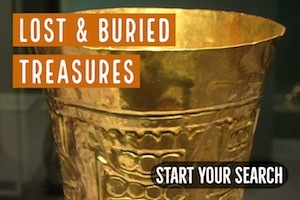 Gold nuggets are just not common here. 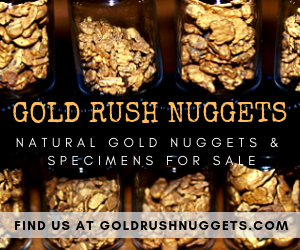 Many of the states to the south of Rhode Island are larger gold producers and nuggets can be found. Here, you should primarily expect to find small gold within the stream gravels near the known lode gold sources.